A Physiologically Tuned™, nutritionally correct diet for your canine companion means meat first, limited ingredient recipes. Meat first provides canines the animal protein they need to thrive, while our limited ingredient philosophy elimates troublesome staples such as Chicken, Corn, Wheat, Soy and Potatoes. The result is optimal hypo-allergenic, low glycemic nutrition. We build on this natural foundation by adding vital supplements such as antioxidants, essential fatty acids and a complete spectrum of vitamins and minerals for holistic pet food that goes beyond nature to become your pet’s signature food for life. While we all consider our pets to be members of the family, their dietary needs are different than ours. As carnivores, they require a diet rich in animal protein. 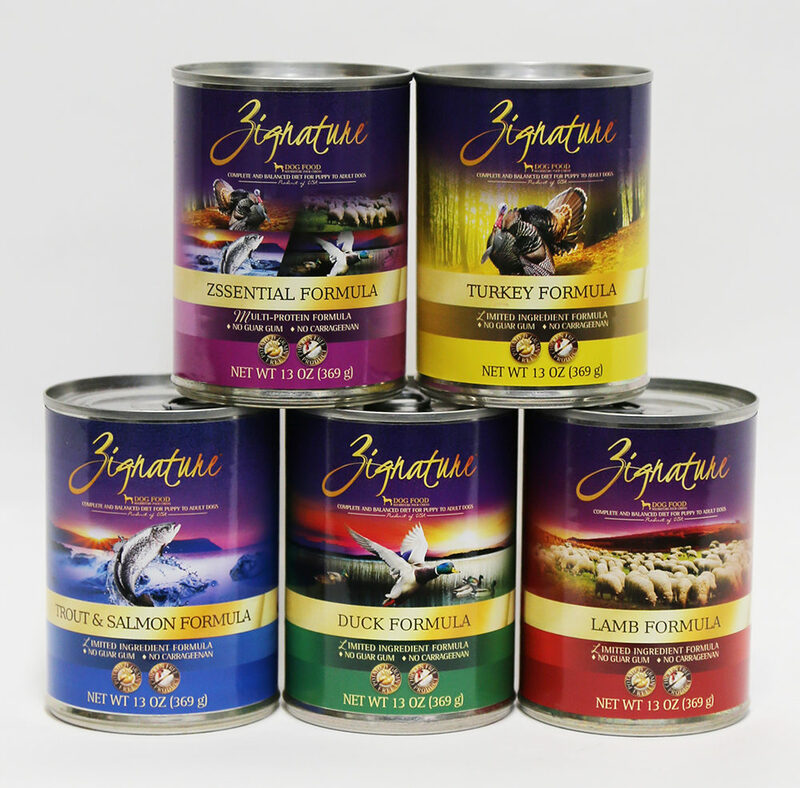 That’s why the first ingredient in any Zignature® product will always be quality meat or fish, backed by meat or fish meal as the second ingredient. This isn’t just what your pet craves, it’s what they need to build a soft, silky coat, healthy muscles, and strong bones. While everything that comes out of our kitchens is based on a nutritionally correct diet true to the wild, we don’t stop there. The simple fact is, nature doesn’t always provide complete nutrition. So we take full advantage of the latest advances in science to go beyond what nature alone provides. All of our recipes are enhanced with the health benefits of supplements such as essential fatty acids, antioxidants, and a complete spectrum of vitamins and minerals.